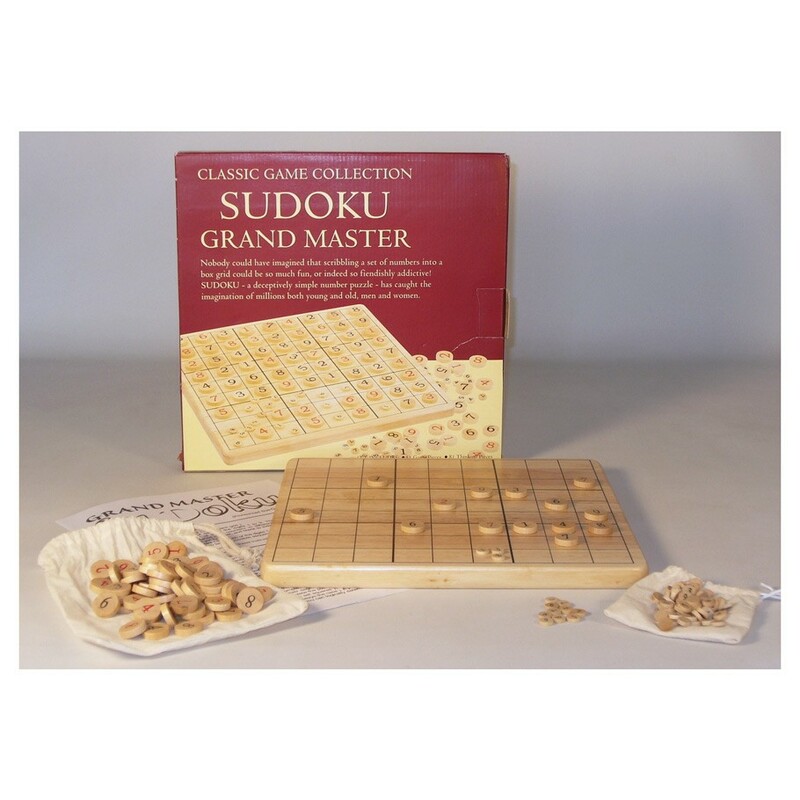 Master Sudoku is a great accessory to the Sudoku enthusiast. This set includes a wood board, 81 round wood number tiles, 81 round wood thinking tiles, and 9 starter puzzles. The board size is 11.5"x11.5"x.5"